US equity indexes closed moderately weak, sp -6pts @ 2265 (intra low 2257). The two leaders - Trans/R2K, settled lower by -0.9% and -0.3% respectively. 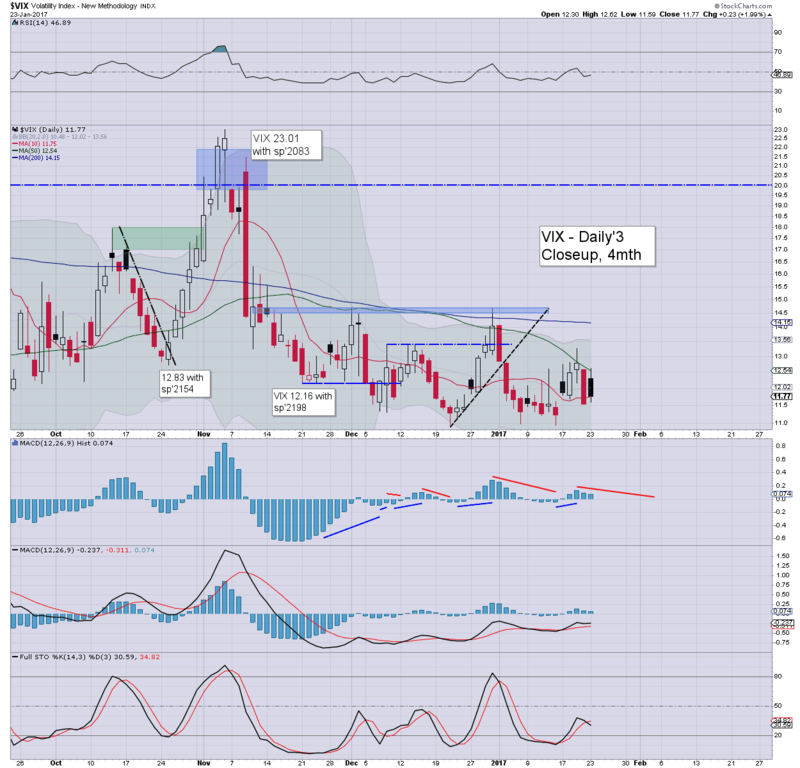 VIX settled +2.0% @ 11.77. 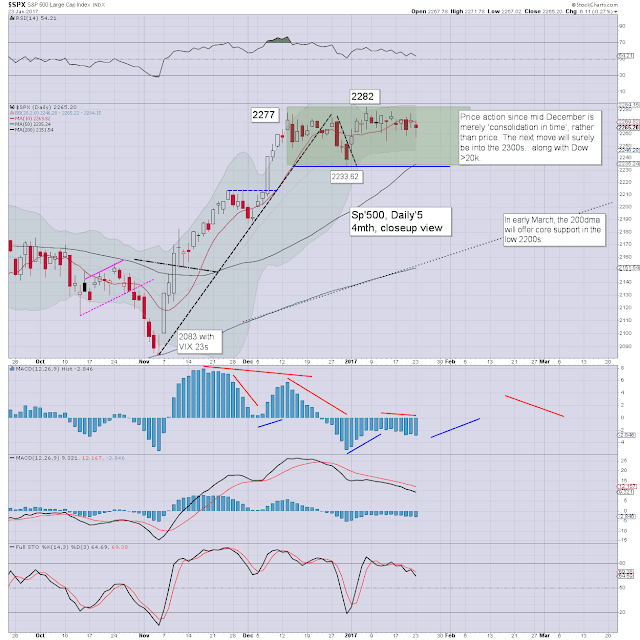 Near term outlook offers yet another attempt to break new historic highs. Broadly, the market is vulnerable to the sp'2320s before end month. US equities began the week on a moderately weak note, but again... 'moderate' is all the equity bears can manage. 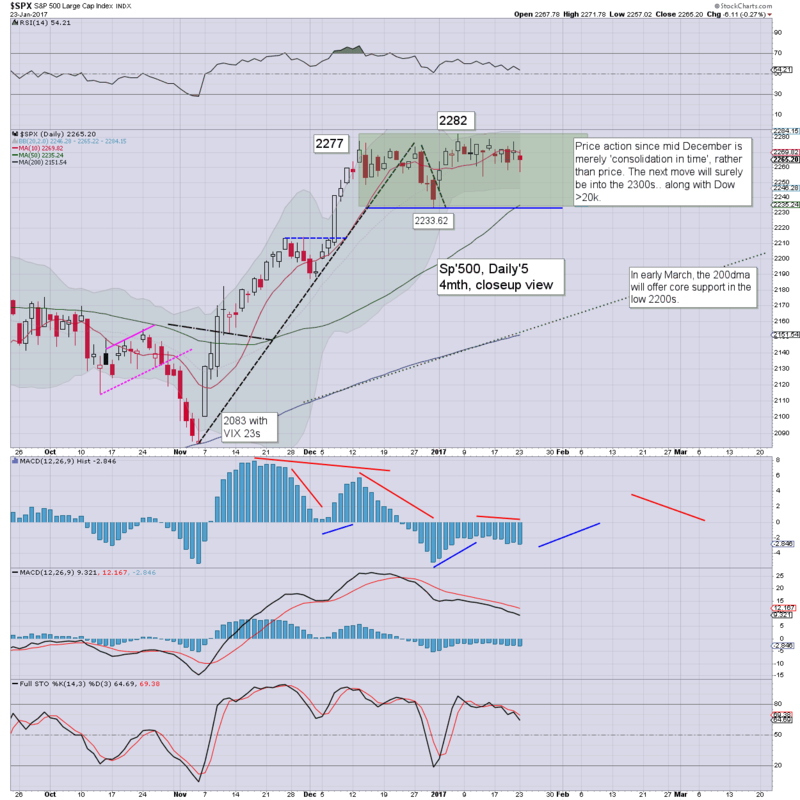 After a hyper ramp from sp'2083 to 2277... the bears still can't manage any significant downside. Broader price action is arguably just consolidation in time... rather than price. It kinda bemuses me I don't see more posting on it. As for the VIX... it remains indicative of a very comfortable capital market, as even the low teens are usually out of reach. 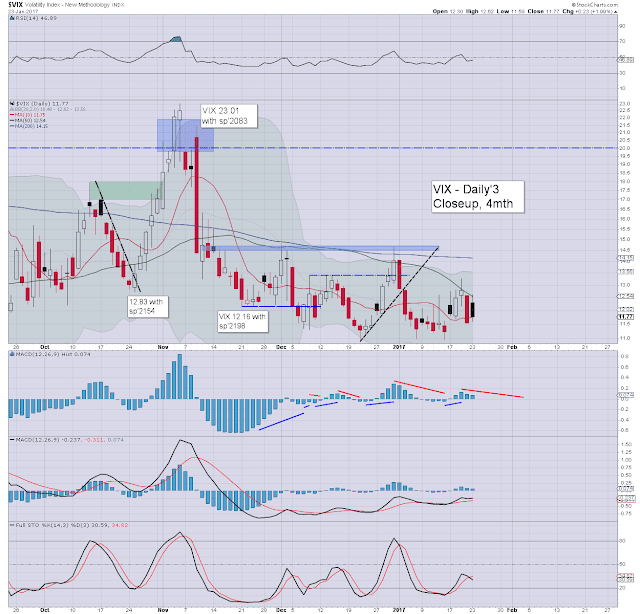 VIX call action is already suggestive that the big money is starting to forget about VIX 20s before mid Feb.